The firm was established in 2007 by Grzegorz Woźniak, who acquired his professional experience with Allen & Overy Warsaw, where he worked for 14 years and was involved in many transactions and litigation cases. We have a proven track record of serving clients with determination and creativity and we have achieved consistent success in many crucial matters for our clients, including successful handling of the bet-the-firm litigation. a commitment to addressing our clients’ immediate needs and advancing their long-term strategic goals. We offer our clients seamless legal advice in all aspects of their commercial transactions, including joint ventures, takeovers, sale of shares, real estate issues, corporate reorganisations and competition & antitrust issues. 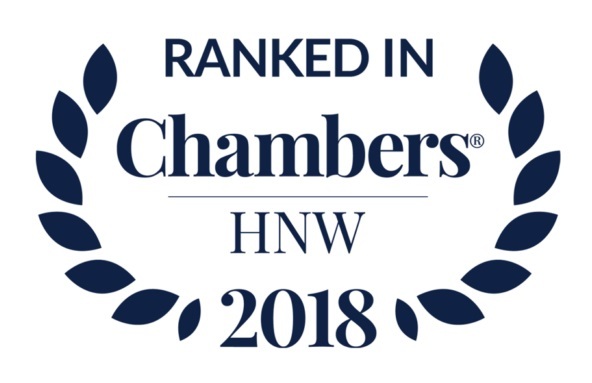 Woźniak Legal is the leading law firm in Poland for the third year running in the area of private client, according to the world’s most renowned legal guides Chambers and the Legal 500. Our lawyers are ranked Band 1 and Band 2 by the guides. Grzegorz Woźniak and Grzegorz Dudek have been recommended as top-tier private client lawyers in Poland. We are also recognised as one of the best litigation teams in Poland. The firm has been ranked numerous times as a leading dispute resolution practice by Chambers Europe and the Legal 500. We recognise that each dispute requires a bespoke solution. When we litigate we are known for our assertive style. 'What makes the network unique is the shared experience of close colaboration in a large number of cross-border transactions' - the judges said. London remains our main point of reference, in terms of the quality of our services, our values and approach. We have been very proactive in cultivating our firm’s links in the UK. In this context, we have been active participants in a number of seminars and events at the Law Society in London, including the seminar on the CEE energy sector and infrastructure which took place in September 2017. For years we have been continuously meeting and closely cooperating with UK lawyers. We have been working with various London firms on numerous cross-border cases. Together, we provide our services to clients from more than 20 jurisdictions. To support our clients’ international strategies, we have developed strong relationships with the legal communities in many of the world's major jurisdictions. The firm is a member of The Law Society of England and Wales (International Division) in London which provides us with invaluable insight and contacts with international legal practitioners. We are also part of New Circle, a unique law firm network which covers major European jurisdictions (Czech Republic, France, Germany, Hungary, Italy, Luxembourg, the Netherlands, Poland and Slovakia). The network was formed at the initiative of lawyers who formerly worked at Allen & Overy in their respective jurisdictions. Our shared experience in working closely together on a multitude of high-profile multi-jurisdictional transactions and disputes enables us to provide our clients with consistent and seamless high quality legal advice across different jurisdictions.